Roessner Hall, the new home of the accounting, business, economics, and political science departments, along with the Center for Excellence in Local Government and Accelerated Degree Programs, opened its doors for the beginning of the fall 2014 semester. 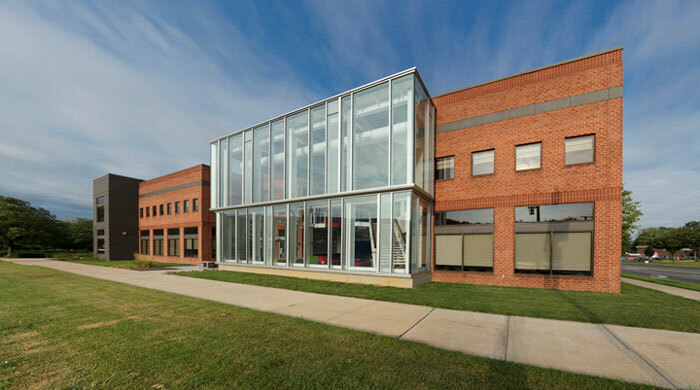 This modern, technologically advanced academic facility has been designed to enhance synergy and collaboration among the related departments and showcase the interdisciplinary approach that is at the heart of the Albright educational experience. This modern, 30,000-square-foot facility provides significantly upgraded space for all daytime classes for the accounting, economics and business, and political science departments, and for evening outreach and instruction by the Accelerated Degree Programs and the Center for Excellence in Local Government. By consolidating related department classroom demands into a single, integrated facility, Albright has created a hub for each of these departments and a sense of ownership, allowing faculty members and administrators to shape and maintain the spaces they need to be most effective for students. 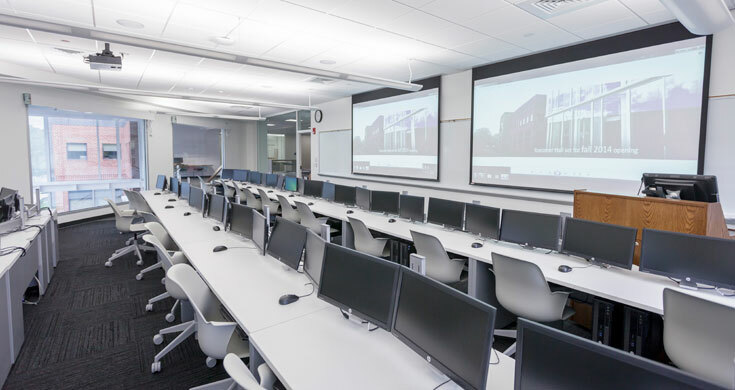 Located strategically throughout Roessner Hall, faculty offices provide truly active and collaborative learning opportunities, and are equipped with technology that allows for collaborative, investigative learning. 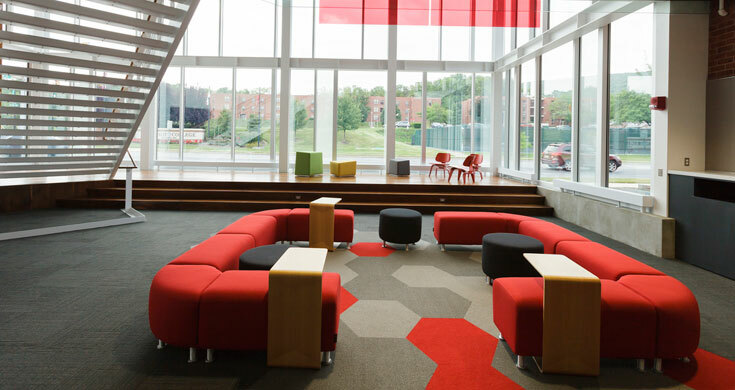 To promote increased interaction between students and faculty, break-out spaces are located near faculty offices and incorporate transparency and natural light that permeates both areas. Teaching and learning have evolved a great deal over the last several years. Collaborative learning, group study and less-structured gatherings have gained prominence alongside more traditional classroom environments. The open spaces and inviting, active environs of the Center for Business and Civic Leadership reflect this new reality, fostering an education that challenges and engages as it imparts knowledge.